In Australia, sleep deprivation is highly prevalent with 40 per cent¹ of Australian adults experiencing some form of inadequate sleep. The blurred lines between work and home, increased anxiety and the need to sacrifice something to fit everything in are some of the reasons for this. 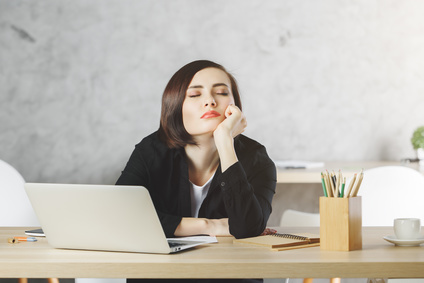 Surviving on little sleep has almost become a badge of honour but fatigue from sleep loss can result in sleepiness during the day impacting our productivity and performance at work which can lead to reduced alertness, concentration and memory capacity. With the holidays and new year fast approaching, it’s the perfect time to remember the value of being rested and recharged. Inadequate sleep can affect learning and decision-making as well as increasing the risk of mental and physical illness. In 2016, 3,017 deaths were linked to sleep deprivation including 394 deaths from industrial accidents or road crashes due to lack of sleep. Lack of sleep causes a large proportion of motor vehicle accidents – estimated to be 23% of the total². Evidence suggests that sleep loss contributes to poor health outcomes such as diabetes, cardiovascular disease and possibly even cancer³. The Australian Institute of Health and Welfare reported that ‘sleep disturbance’ was the fourth most common mental health problem for Australians aged between 12 and 24, after depression, anxiety and drug abuse4. Aim to go to bed at a similar time every night. Spend a quiet period immediately prior to turning in to help your body and mind settle. A warm bath or shower before bed can help the body and mind calm down. Get to know your body and the effects of alcohol, spicy food and other stimulants too close to your bed time. Darken the room so your body automatically prepares itself for rest. If listening to music, keep the volume low and the music soothing. Never underestimate the importance of short “nana naps”, as well as brief, still ‘zone out times’ during the day to help us to refresh your mind and body. Learn relaxation techniques or mindfulness to help your mind relax. For more information on coping with sleep deprivation, visit www.accesseap.com.au.